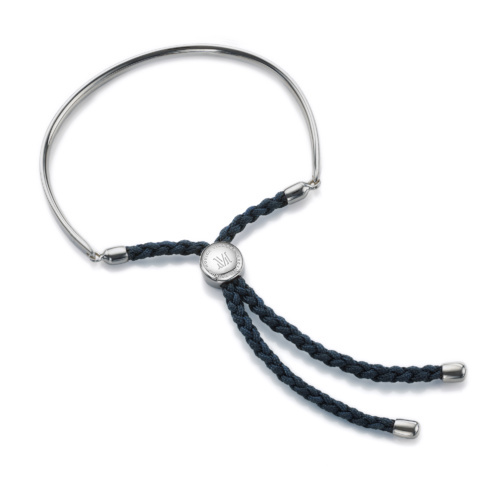 Denim Blue for Courage. 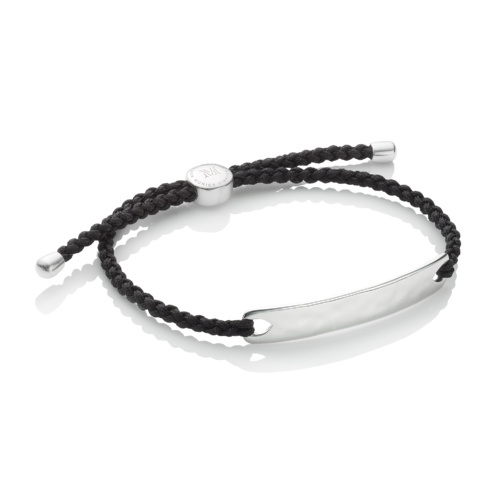 This simple yet refined friendship bracelet features a lightly hammered Sterling silver rectangle with a wavy, reflective finish. 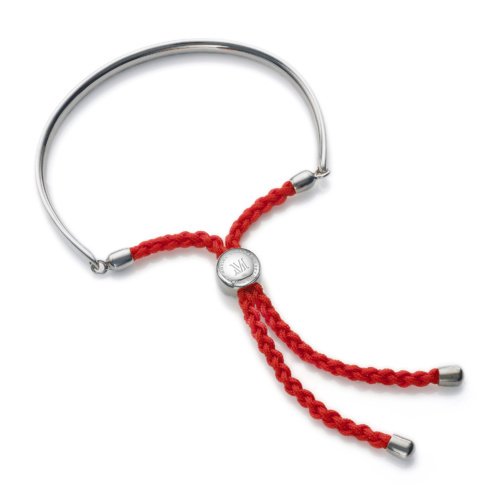 The bar measures 45mm x 7.5mm and a toggle slides to easily adjust the cords for a snug fit and unfussy finish. 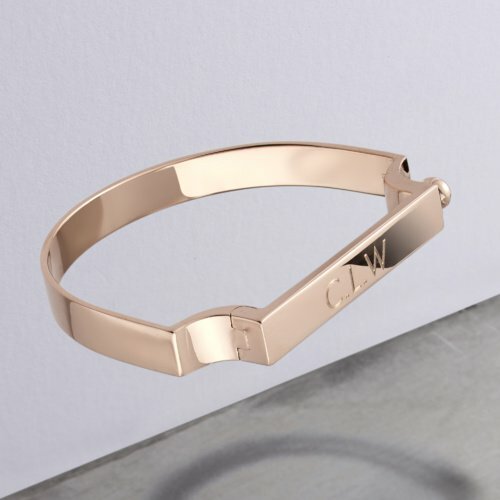 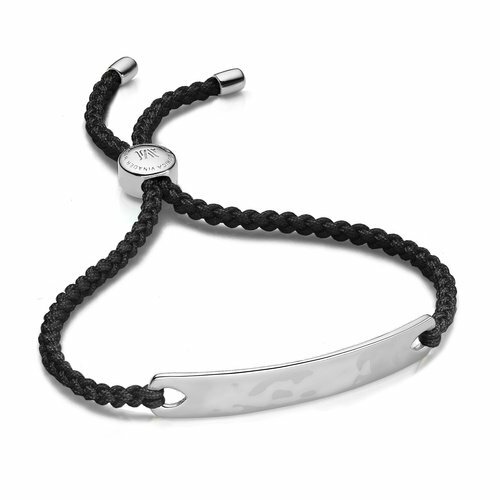 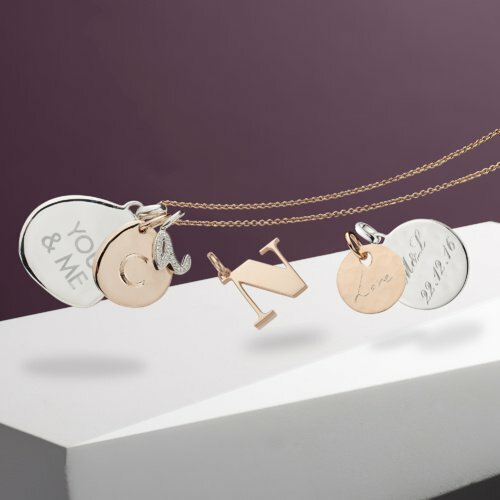 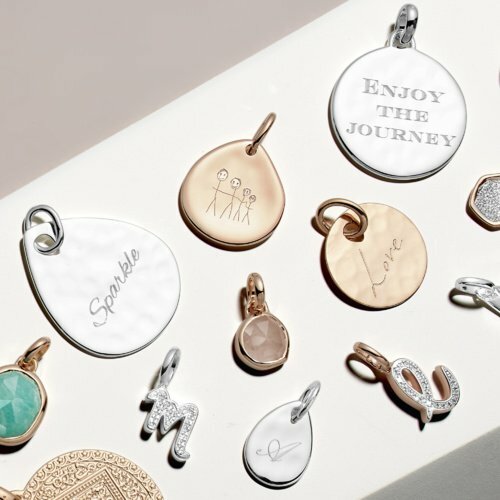 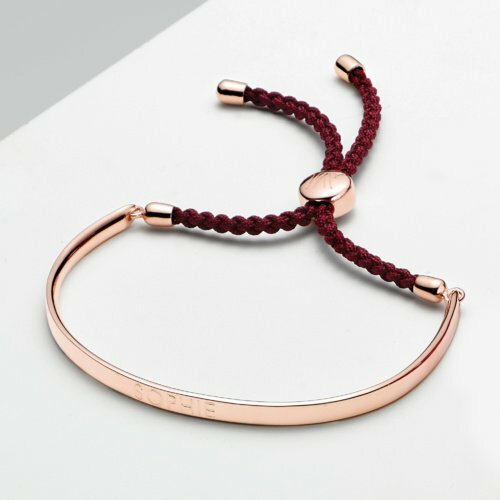 Make your bracelet individual with engraved monograms, initials, names and messages.